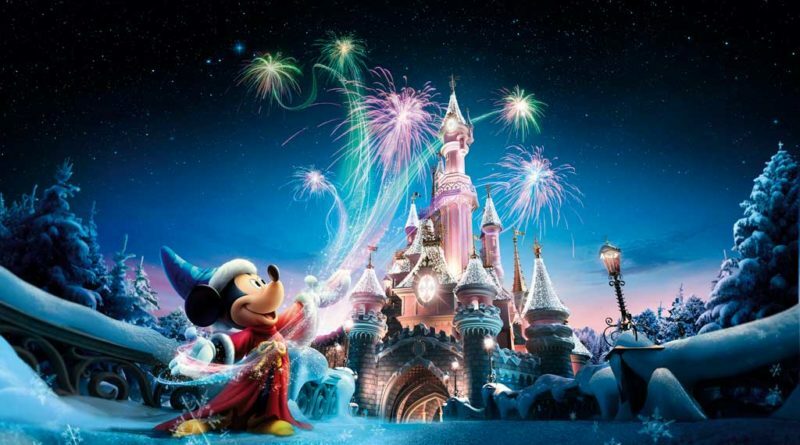 Unwrap a magical Christmas at Disneyland Paris – this time in both parks! From 11 November 2017 to 7 January 2018, Disneyland Paris will be transformed to celebrate the arrival of Christmas, one of the most magical times of the year! For two months, Guests will be immersed in a magical world of festivities for an unforgettable experience, including a new celebration with Goofy and his friends in Walt Disney Studios Park! That’s right – this year, Goofy’s bringing the Christmas celebrations to Walt Disney Studios Park. And the good news is that he doesn’t do things by halves. Goofy will be transforming the Hollywood Tower Hotel into the backdrop for a spectacular magical journey – along with a few unexpected twists. Christmas is also coming to Disneyland Park – THE unmissable venue – with an extraordinary Parade, magical decorations and fairytale meet and greets… So what are you waiting for? Goofy’s Incredible Christmas Let’s start by looking at what’s new at Walt Disney Studios Park. Get ready for an immersive night-time experience that uses mapping technology and breathtaking special effects to transform a cult attraction – The Twilight Zone Tower of Terror. Goofy will light up the show in true Christmas spirit. He’ll take you on a journey over spectacular landscapes, from the North Pole to the most extravagant party you could possibly imagine. Watch out for a few unexpected surprises – it is Goofy, after all! Walt Disney Studios Park will be buzzing with the sounds of Christmas in the daytime as well, so get your voices warmed up! Several times a day, the Production Courtyard stage – located at the foot of the Hollywood Tower Hotel – will host a huge musical production featuring some of the most famous Disney Characters. They’ll invite you to take part in the magic of Christmas by singing along to the most famous seasonal songs. Throughout the day, post your photos on social media to get a chance to see them appear on the big screen. And don’t forget you can meet Mickey and Minnie in their best Christmas outfits – not forgetting Goofy, who’s bursting with pride in his Santa suit at Walt Disney Studios Park. Discover the magical Disney’s Christmas Parade! Do you like Disney Parades? Then you’re going to LOVE this Christmas season – you’ll be treated not only to the year’s biggest novelty, Disney Stars on Parade (you know, the one with the iconic dragon), but also to two special opportunities to see THE Disney’s Christmas Parade. It’s making a big comeback, spreading the magic of winter across Disneyland Park – and it’s even making snow fall on Main Street, U.S.A. Mickey and Minnie are getting ready to celebrate Christmas in style with a host of singers and Disney Characters. Does the name remind you of any Disney Character in particular? You guessed it! Stitch will be leading the event on the Sleeping Beauty Castle stage. Yes, that’s right – this Christmas has some surprises in store. Mickey, Minnie and their friends will teach Stitch the meaning of Christmas through songs. Are you ready to feel the beat of a super fun Christmas? There’s yet another new show waiting for you in the warm and cosy Videopolis. In the best Disney Christmas tradition, Mickey’s Big Band Christmas includes everybody’s favourite Christmas songs in a live show featuring singers, musicians and Disney Characters. Every morning you’ll have the chance to awaken the magic of Christmas at the foot of Sleeping Beauty Castle with a captivating event. Make sure to visit the Enchanted Advent Calendar! At Disneyland Park, you’ll feel the Christmas spirit as soon as you set foot inside, with amazing snowmen of famous Disney Characters. As if by magic, snow will fall at special moments every day on Main Street, U.S.A. You’ll also have the chance to meet Marie from the Aristocats, Scrooge McDuck, Thumper, Miss Bunny and more! And where there’s Christmas, there’s Santa, of course. As you might expect, he’s decided to take up residence in Fantasyland. To meet him up until and including the 25 December, head to ‘Meet Mickey Mouse’. Just like Mickey, Santa will have his own dressing-room where he’ll give you the warmest welcome. It’s a magical meeting you’ll treasure forever. There’s nothing quite like the moment the Christmas tree lights are switched on at Disneyland Park. And it’s not just any tree – this one measures no less than 24 metres in height and will be switched on by magic at an event attended by Mickey, Minnie and Santa! With a festive countdown, enchanting Christmas lights, snow and Disney magic, Mickey’s Magical Christmas Lights is sure to immerse you in the wonder of Christmas. Throughout the season, you will discover at Fuente del Oro the puppet of Miguel, the hero of COCO! The heroes from Frozen are back for an unforgettable Christmas! They’re some of Disney’s most famous heroes – and just hearing their names conjures up the very essence of the magic of winter. So it’s good news – Elsa, Anna, Olaf and Kristoff are back! The Frozen Sing-along show is back on stage at The Chaparral Theater, giving you the chance to sing along to the great hit songs from this Disney classic in Frontierland. On the evening of 31 December 2017, Disneyland Paris is promising you a star-studded evening¹ that’s packed with a constellation of surprises. It’s a truly unique way to welcome in the New Year. Come and celebrate a fun-packed year and let yourself be swept away by our exclusive The Incredible New Year’s Eve Parade. 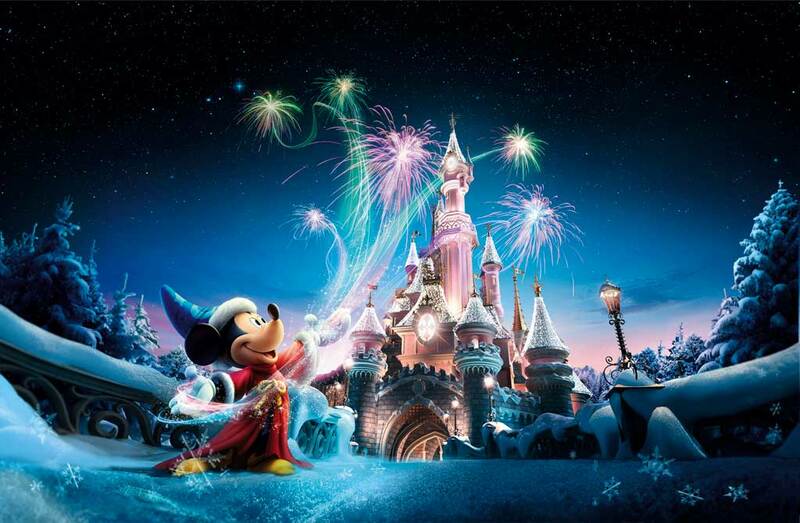 Filling the sky above Sleeping Beauty Castle, the New Year fireworks will amaze and astound kids and grown-ups alike. And why not make the most of the party atmosphere to take to the dance floor or enjoy a whole host of other surprises? Remember – places are limited! Reserve your special tickets for New Year’s Eve now. Get ready – you’ll have exactly 58 days to experience a Christmas like no other from 11 November 2017 to 7 January 2018 at Disneyland Paris. Europe’s number one tourist destination, Disneyland Paris has welcomed more than 320 million visits since opening in 1992 (13.4 million visits in 2016). The resort boasts two spectacular theme parks (Disneyland Park and Walt Disney Studios Park) and seven themed Disney hotels with 5,800 rooms (more than 2,700 rooms are available in Selected and Associated Hotels). 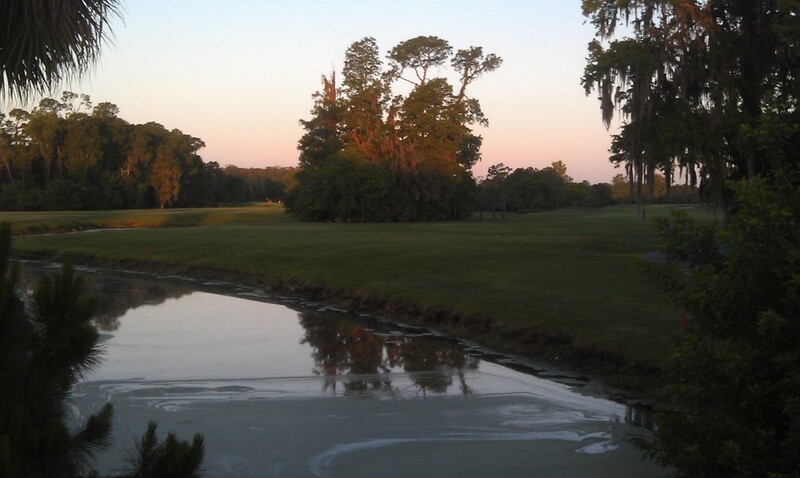 Two full-service convention centers and a world-class 27-hole golf course are also present. In addition to this, the destination is home to Disney Village – one of the largest entertainment complexes in the Ile-de-France region. Spread over more than 30,000m², Disney Village proposes themed dining, shopping and cinema experiences. Disneyland Paris comprises 59 attractions, 63 shops, and 55 restaurants. ¹Paid event: EUR 49 per person, free for children under 3. 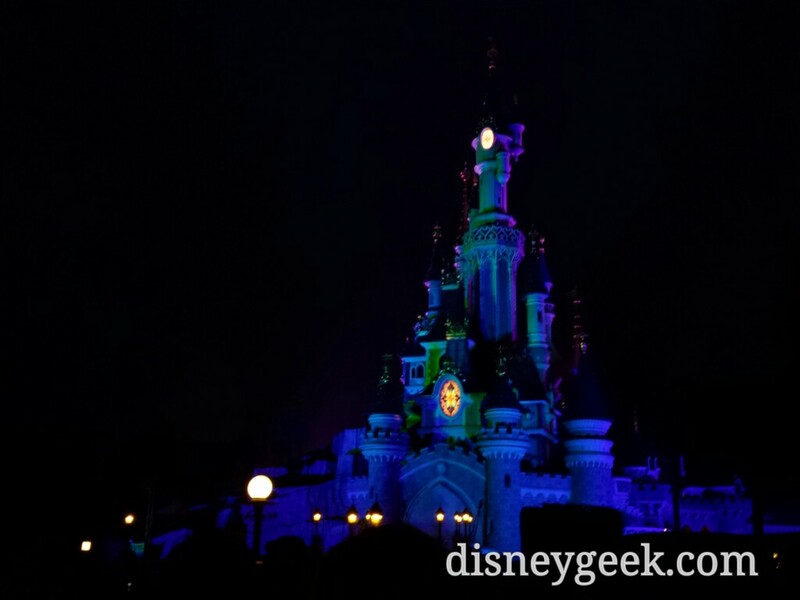 Entry to Disneyland Park after 5 pm for holders of a valid evening ticket. Information on disneyland.com. Event may be modified, delayed or cancelled without prior notice, particularly in the event of inclement weather. Parking not included in the price of the entry ticket.